London ; Basingstoke : Macmillan, 1970. 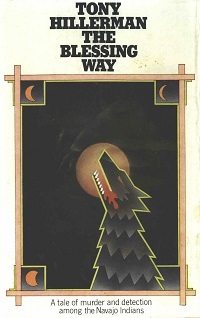 This is a hardcover edition published in the United Kingdom with a full color dust jacket that was designed by Bob Lawrie (Nicholas, Thirkell Associates). Format: Hardcover, 20.2 x 13 cm. Binding: Medium blue boards with author's name, title and publisher printed in black on the spine.